Stakeholder engagement: EU Member States have heavily invested in tools to consult on draft laws and regulations. Nevertheless,stakeholders rarely have the opportunity to provide input at an early stage of the policy development and it often remains unclear how their feedback has been considered. Regulatory impact assessment: While RIA has been adopted by nearly all EU Member States, there is a substantive gap between the outward commitment and effective use in practice. RIA is often limited to the government’s preferred regulatory option, begins only after regulatory proposals have already been developed and lacks transparency. Ex post evaluation of laws and regulations: EU Member States rarely assess if regulations achieve their policy goals as expected. Regulatory management and EU law: Member States generally conduct RIA and stakeholder engagement when transposing EU directives. The use of these regulatory management tools is less common when Member States form their negotiation position during the EU legislative process, before a draft law is adopted at EU level. 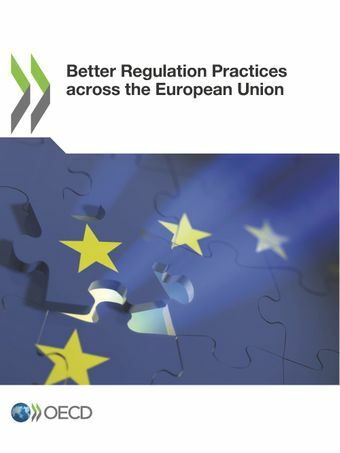 The European Commission renewed its political commitment towards the principles of better regulation with its 2015 Better Regulation Package and compares favourably to most EU members. Nevertheless, there is room for improvement for everyone. Regulatory oversight and quality control across the EU: Incentives for ministries to comply with better regulation policies are weak in most Member States. Quality control and oversight usually focus only on RIA and few oversight bodies can ask ministries to revise their impact assessments if the quality is insufficient. Only a few countries and the European Union have evaluated their stakeholder engagement practices.